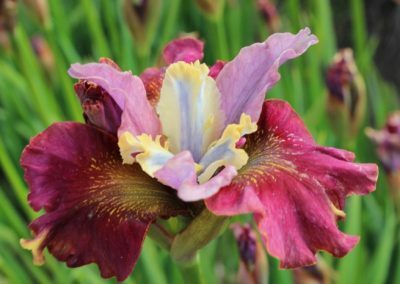 There are about 300 species of Iridaceae known worldwide, of which the genus Iris, in particular the Iris sibirica, has the widest distribution range. It is native to temperate areas between Europe, Central Asia and America. 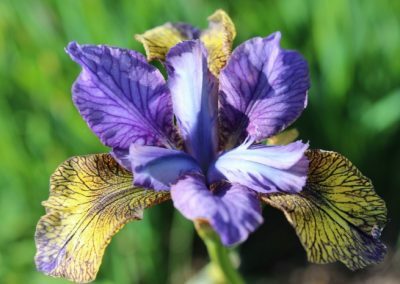 Iris sibirica is a rhizomatous perennial up to 1.2 meter tall, with narrow, grassy-like foliage and branched stems, bearing 3-5 flowers per stem. 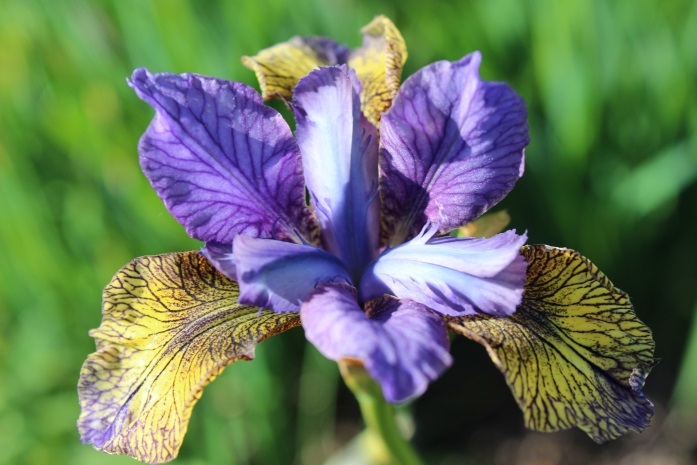 The striking Siberian Iris was first brought into cultivation in the Middle Ages. 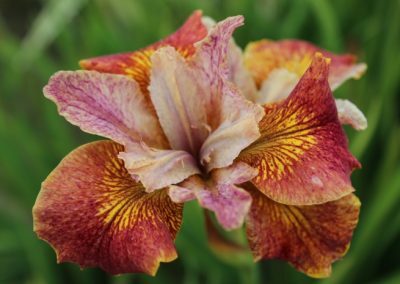 This very attractive Iris was collected from the wild and planted in monasteries and royal gardens during the Middle-Ages. 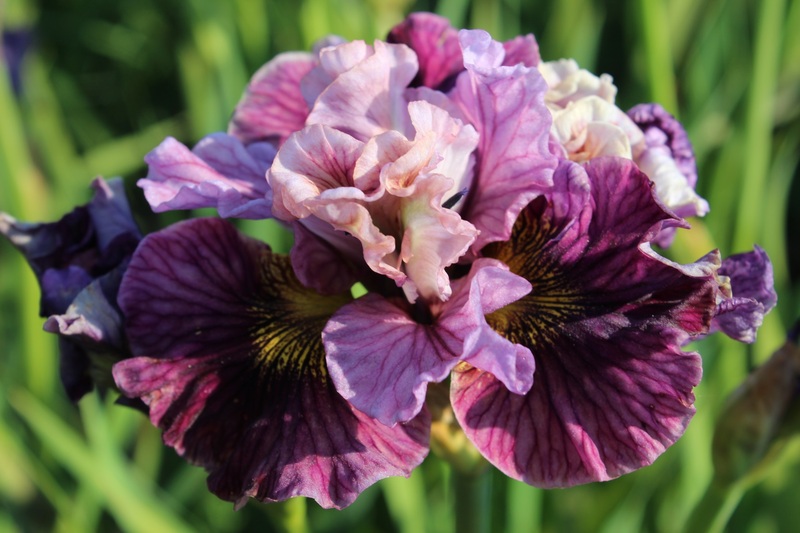 Because of the great elegance of the Iris bloom, it has been the symbol of monarchs and royal families. One of the earliest known artworks of Iris is a fresco in King Minos’ palace on the Greek Island of Crete. The palace dates from 2100 BC. 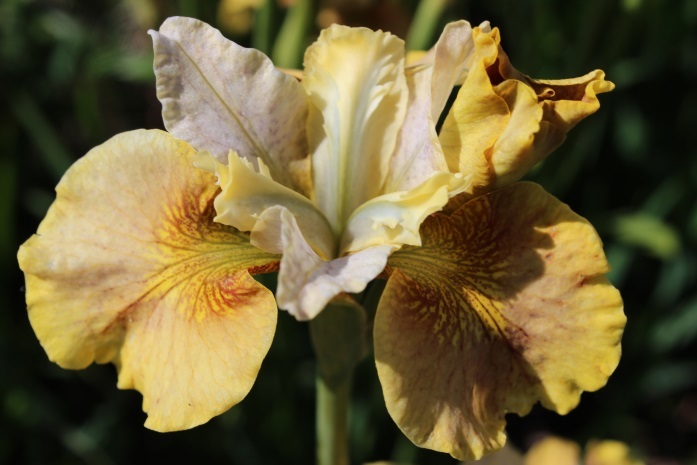 The Iris, a pretty flower with somewhat otherworldly appearance, means Rainbow. 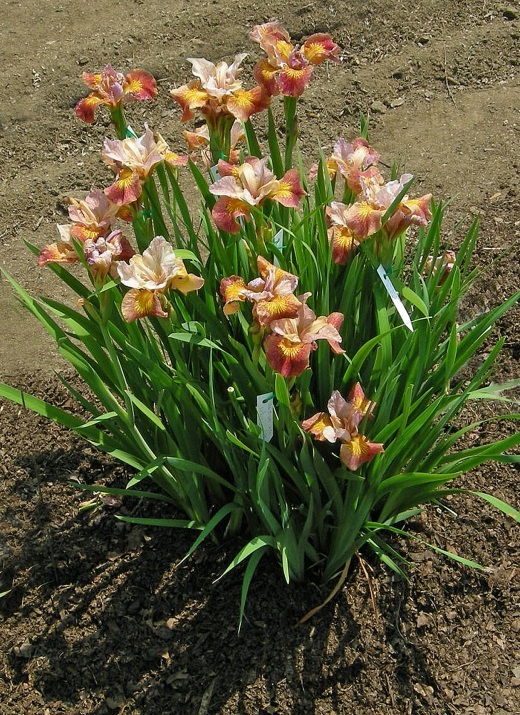 And certainly, the Iris can be found in a wide array of different colours, besides, Iris has a fairly unique position amongst flower meanings. 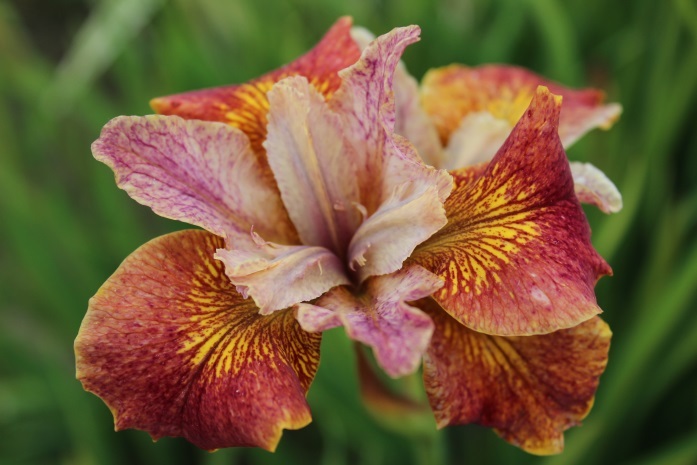 Iris symbolizes eloquence and means different things to different people and cultures. Some of the most common ones are: Faith, Hope, Power, Royalty, Valour, Wisdom. 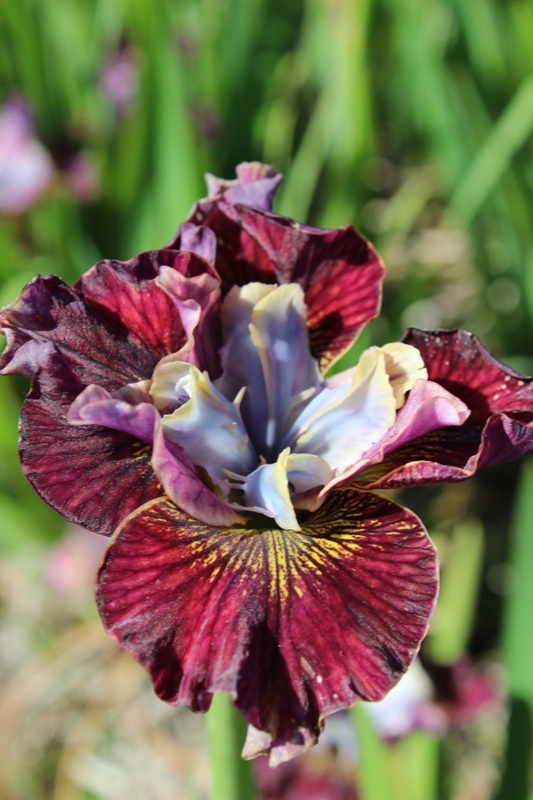 The most famous royal use of Iris as a symbol of power and position was that of the Bourbon Kings of France. 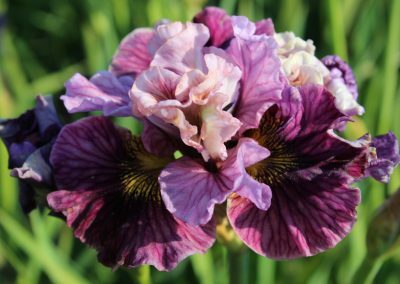 Iris was adopted by the French monarchy as the ‘fleur-de-lis’, the elegant, three-sectioned symbol which we know today as the symbol of France. While ‘fleur-de-lis’ literally means, ‘flower of the lily’, this is a false trail. 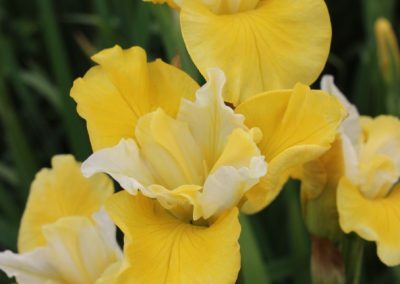 The name may originally come from ‘fleur de Luts’, meaning , a flower of the river Luts’, besides which numerous yellow Irises grow. The symbol disappeared from the French flag after their revolution, but it still proudly adorns the flag of the French-founded Province of Quebec in Canada. 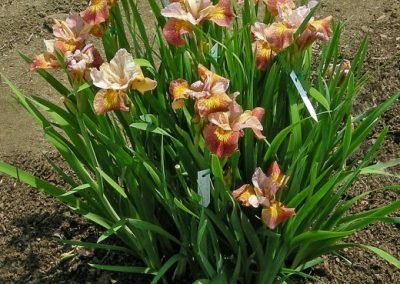 Iris sibirica has been cultivated since the time of the French botanist Charles de L’Écluse, born February 19, 1526 in Arras, France. He died on April 4, 1609 in the Dutch City of Leiden. He was best known by the Latin version of his name, Carolus Clusius. Carolus was a botanist who contributed to the establishment of modern botany. 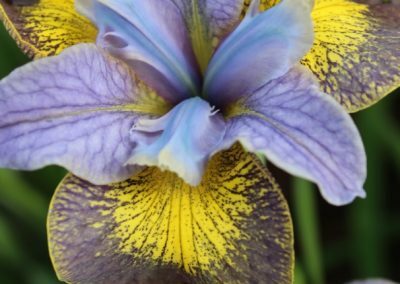 Carolus named the plant we know now as Iris sibirica as Iris angustifolia media, however, it was the father of modern plant naming Linnaeus, who in 1753 coined the name we use today. 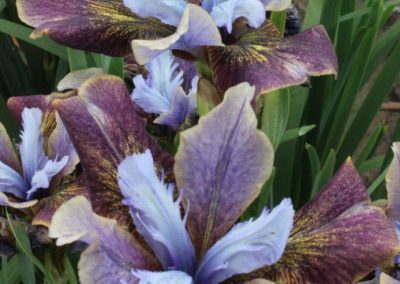 Iris sibirica has been developed through selection and hybridization by gardeners since the late 19th and the early 20th Century. 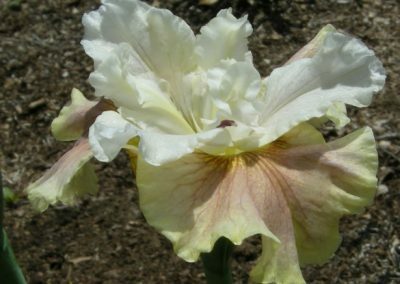 The big breakthrough came in 1957 when Iris sibirica White Swirl was introduced by the American Iris hybridizer Fred Cassebeer. He received the prestige’s American Iris Society Hybridizer Award in 1968. 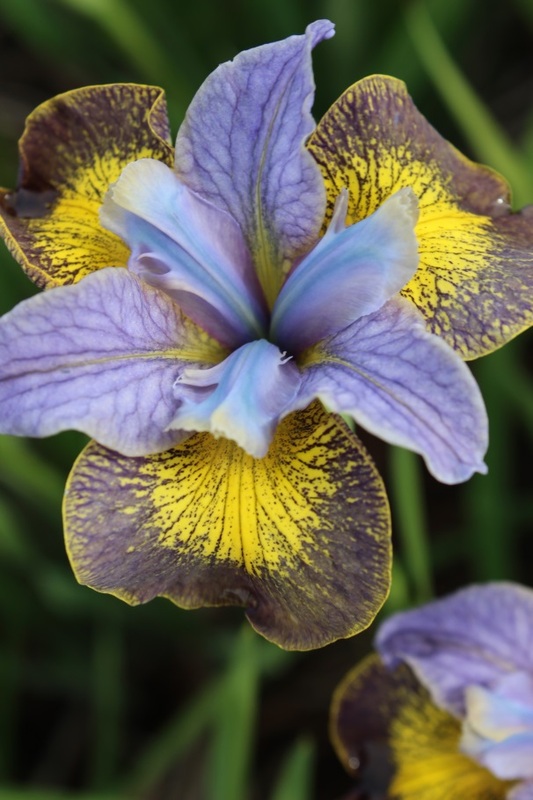 Many breeders did an attempt to get new shapes and colours in Iris sibirica, having varying success. 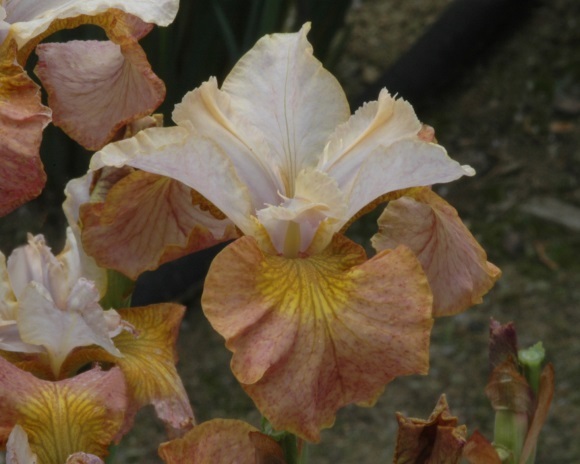 Top breeders of Iris sibirica, the couple Janet Sacks and Martin Schafer. 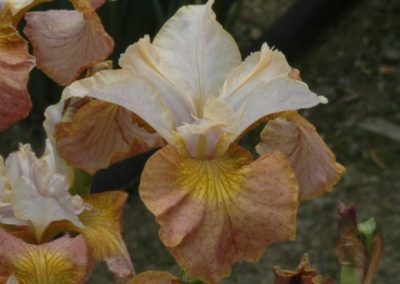 Among all the Iris sibirica breeders, the couple Janet Sachs and Martin Schafer stand, with head and shoulder, above so many others. 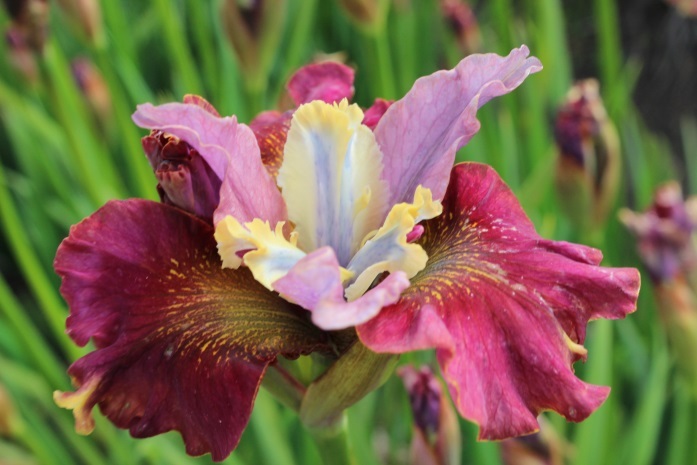 They are passionate, life-long, talented Iris hybridizers, having reached incredible results. Their amazing story begins in the late seventies of last Century. 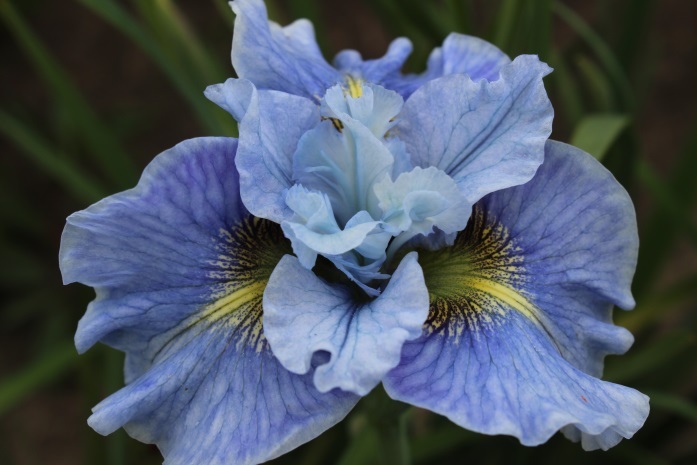 Janet and Martin, grew a blue and a white Siberian Iris, handed over the garden fence. 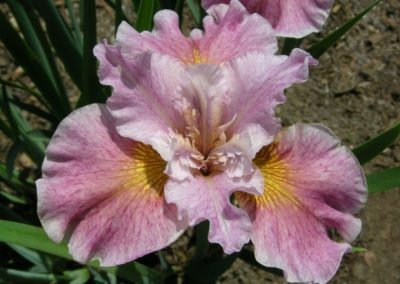 In 1982 they went to their first Iris show and were welcomed by the Iris Society of Massachusetts(USA). 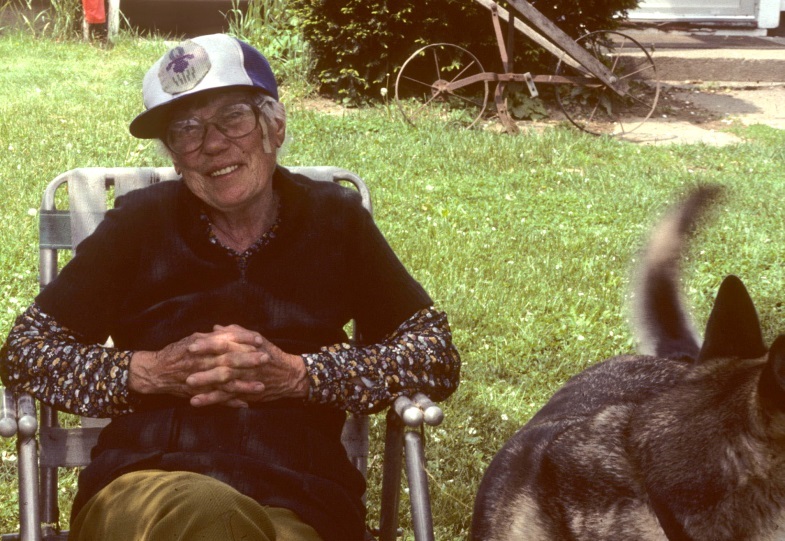 A year later they met the renown Bee Warburton(1903-1996), a pioneer in median hybridizing from Westboro, MA. 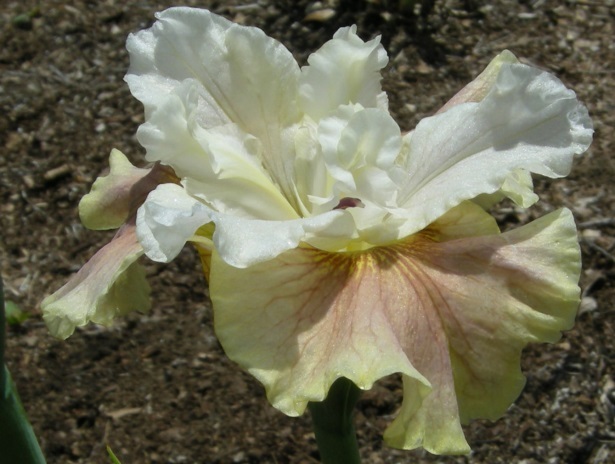 Bee won the American Iris Society Hybridizer Award in 1966. On the day, they met Bee, she had half an acre of Siberian seedlings, a stunning sea of blue and white. In 1991 they bought their own land in Carlisle, Massachusetts, about 1 Hectare, which start at the top of a rocky hillside and slope down to what must have once been a lake bottom, with lovely deep rock free loam which is perfect for growing Siberian seedlings and cut flowers. Today. Janet and Martin’s garden in Carlisle is well established. 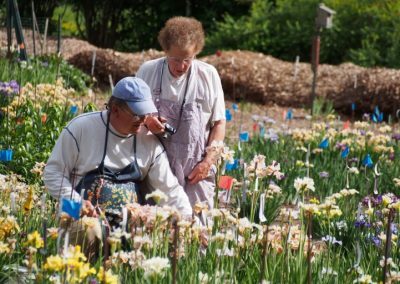 In breeding Irises, Janet and Martin work as a team. 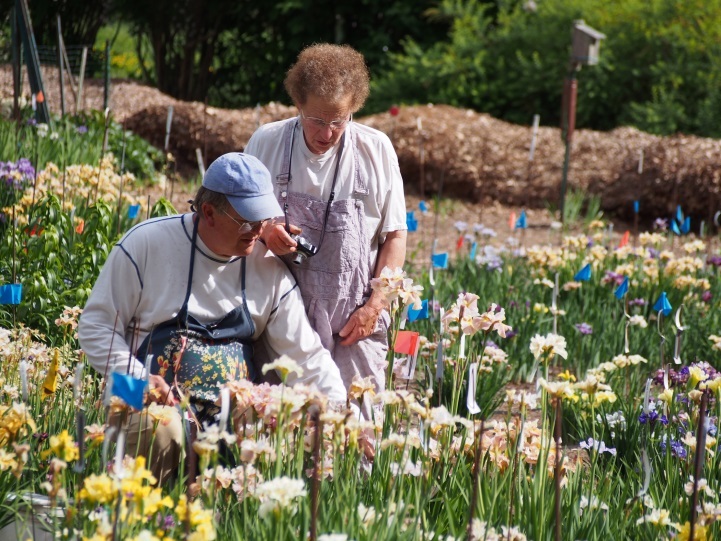 Martin does the pollinating, while Janet does the photography. Janet also carefully documents every interesting seedling. Together they decide what seedlings to keep and name and together they dig out all the rejects. They have just retired from producing wholesale cut flowers. Breeding Siberians remains their number one passion. 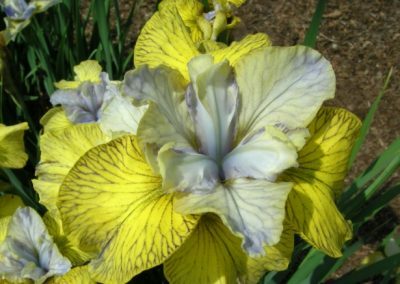 They only work with diploid Siberians and embrace flowers of all sizes and forms from species-like to wide, round and ruffled. To date, Janet and Martin has introduced 100 varieties of Siberians. Among them is Paprikash, an exceptionally bright speckled red on gold. Martin, always looking ahead is sure that true orange ‘Sibs’ will come soon. 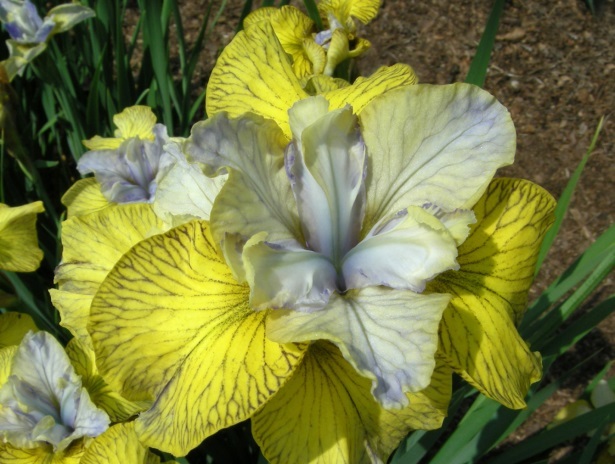 Janet and Martin were awarded the Hybridizers Medal by the American Iris Society in 2007. They also have won seventeen Awards of Merit. 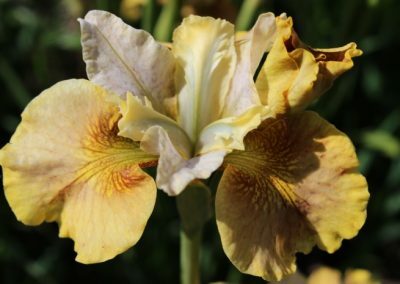 Asking Janet and Martin how they became interested in Siberian Irises, she says: ’we just fell in love with Irises we saw in other people’s garden. 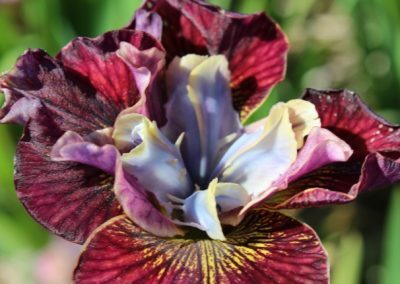 There is something special about the Iris flower form or architecture that we both are entranced with’. MOST BEAUTIFUL FLOWER ON EARTH. Iris sibirica are among the easiest of perennials to grow, and they give an abundance of beauty with a minimum of care. It is favoured by many landscapers and the reason is obvious. They are hardy as oaks. 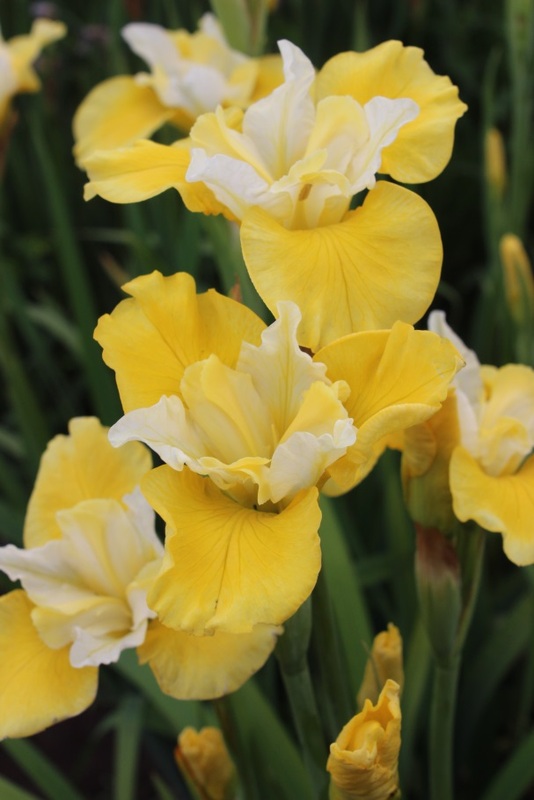 Siberian Irises form very handsome clumps of grass-like foliage with a host of blooms rising on elegantly stems. When the flowers are gone, the foliage remains a highlight in the garden all season long, as decorative as almost any ornamental grass. 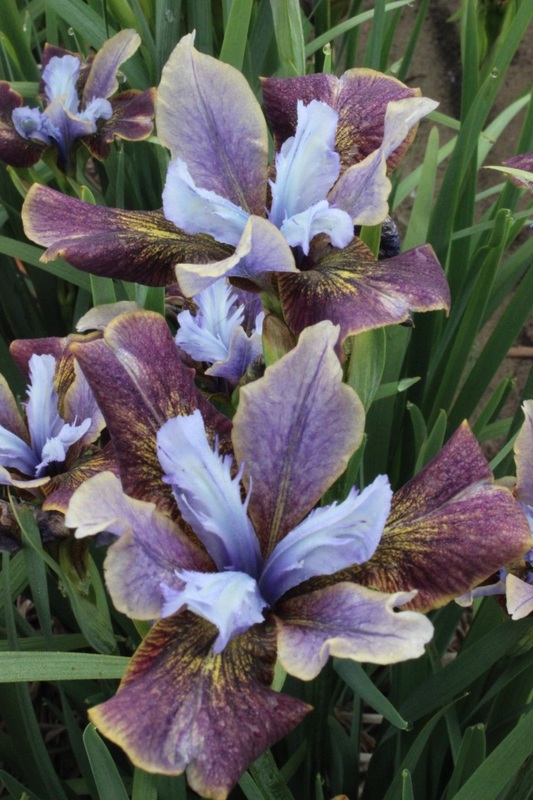 Iris sibirica have many desirable traits.